He studied in high school in Herford and Halle, but he devoted all his free time to drawing, for which he had great abilities. He then entered an art school founded by his uncle, geographer Heinrich Berghauz in Potsdam, where he studied cartography during 1842-1845. After graduation, Berghaus became an employee of the Justus Perthes cartographic publishing house in Gotha, which had an international reputation. Berghauz's job was to modernize the existing maps and fill them with new data.The highest quality of cards produced by the publisher provided him with a large number of orders, including school maps and atlases. In 1868, the Berghaus received the title of honorary doctorate at the University of Königsberg, and in 1855, the Saxon Duke Ernst II awarded him the title of professor. His most famous work is the World Map, which has survived 11 editions. He also prepared the physical map of Africa. 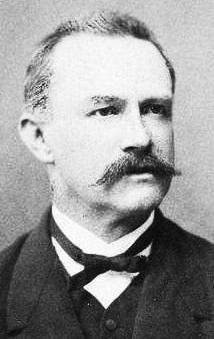 In addition, Berghauz supervised the reissue of his uncle’s Physical Atlas, but the blindness that had occurred in 1888 prevented him from completing this work. 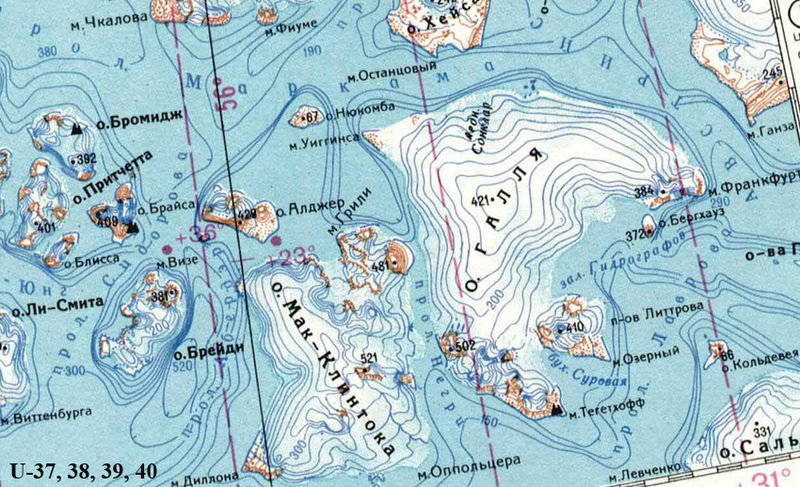 An island in the Lavrov Strait east of the Gall Island in the archipelago of Franz Josef Land. Named in 1874 by Y. Paier, who took it for a cape. Insular position established W. Wellman. An island in the southern part of the Hinlopen Strait, Svalbard. The coordinates are 79° 20'N 20° 30'E.